Added on Thu, 13 Dec 2012 15:34:13 -0800. So, Episode 100 of theOneliner's podcast? Yup, although occasional huge gaps between releases might have raised legitimate doubts about whether we'd ever make it to triple digits, make it we have, and we're glad to have you join us for it. To mark the occasion we've done... absolutely nothing special or different whatsoever. As such, it's business as usual as we lay down the truth on The Oranges, Silver Linings Playbook, Great Expectations, Trouble With the Curve, Seven Psychopaths and End of Watch. Not wanting to turn off the listeners who have stuck with us to this landmark, this episode even contains plenty of our trademark Total Unpreparedness™. We hope you enjoy. One of that other cinematic Christmas tradition - the dismal family drama - The Oranges is the tale of two neighbouring families who have been great friends for years, a state of affairs which clearly can't be allowed to continue. Returning from a prolonged absence, Nina, daughter of the Ostroff family, begins a relationship with David, head of the Walling family, whose marriage is already shaky. Unsurprisingly things go badly from this point on. Despite having a promising cast, The Oranges doesn't deliver a great deal of interest or insight, or drama for that matter, a distinct problem in a drama. Your avoidance is recommended. Based on Matthew Quick's novel, Silver Linings Playbook sees Bradley Cooper's Pat trying to get his life back together after suffering a mental breakdown. Fate throws him together with Tiffany, a young woman trying to cope with the sudden loss of her husband through a series of shallow sexual encounters. As their relationship progresses, details of the causes of Pat's breakdown are teased out. Bradley Cooper is far from the most powerful actor and Jennifer Lawrence's Tiffany is a little too thinly drawn, two things which combine to make this one of David O. Russell's lesser works, but it avoids the mawkishness that could too easily have marred it. It's above-average, and therefore worth watching, but once again we're left scratching our head at the Oscar buzz surrounding such an ordinary film. Perhaps the Academy should just drop the pretence and rename the leading acting categories 'Best Actor in the Role of Someone With Mental Health Issues'. Not being fans of the book, Great Expectations was not something we had great expectations of. Mike Newell's adaptation is sumptuous: lavish production values, fantastic costume design, excellent performances and a wonderfully grimy Victorian London, but alas all of this effort is in service of a poor story. If you're more enamoured of this novel than we are you'll likely enjoy this immensely, but, technically superb as it is, you're unlikely to have your mind changed by this adaptation if you don't already like the story. 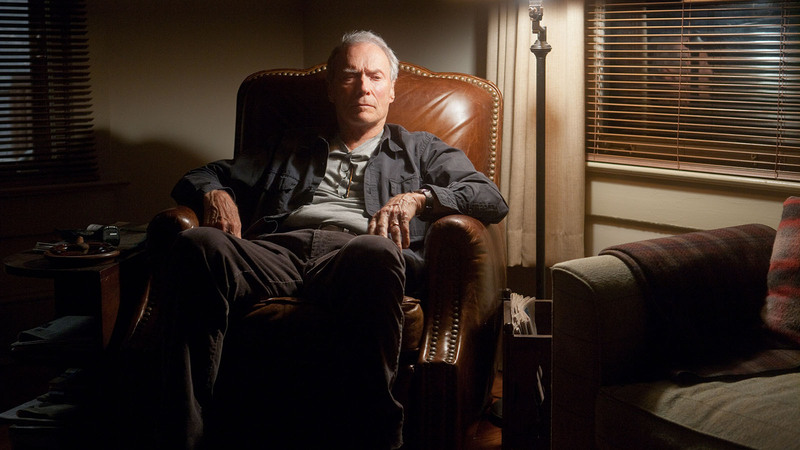 Returning from his self-declared acting retirement, announced with 2008's Gran Torino, Trouble With the Curve sees Clint Eastwood once again in front of the cameras, but not, for the first time in 20 years, directing himself. Directing duties are taken up, in his first feature, by longtime Eastwood assistant director Robert Lorenz. Eastwood plays Gus Lobel, a veteran baseball talent scout, who must come to terms with his failing eyesight and his failing relationship with his daughter. 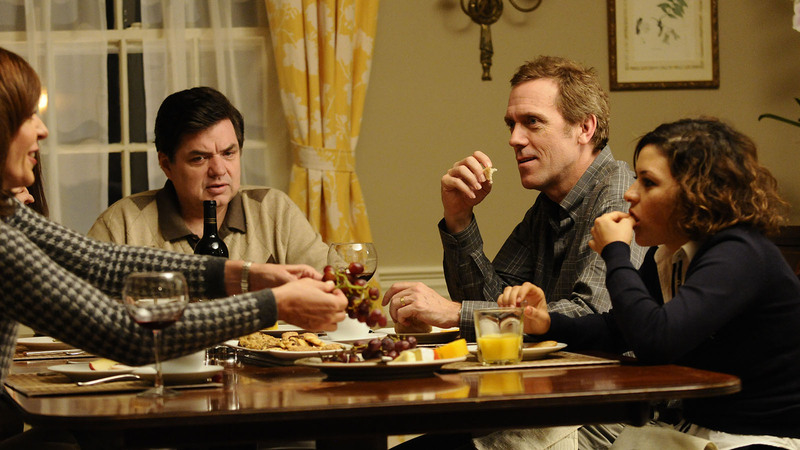 While there's nothing new in Trouble With the Curve, it's well-handled and an enjoyable watch. Given solid support by Matthew Lillard, Justin Timberlake and, particularly, Amy Adams as Gus' daughter, it's Eastwood that's the real draw. It may be a role you've seen him play numerous times, but he's still as watchable as ever. 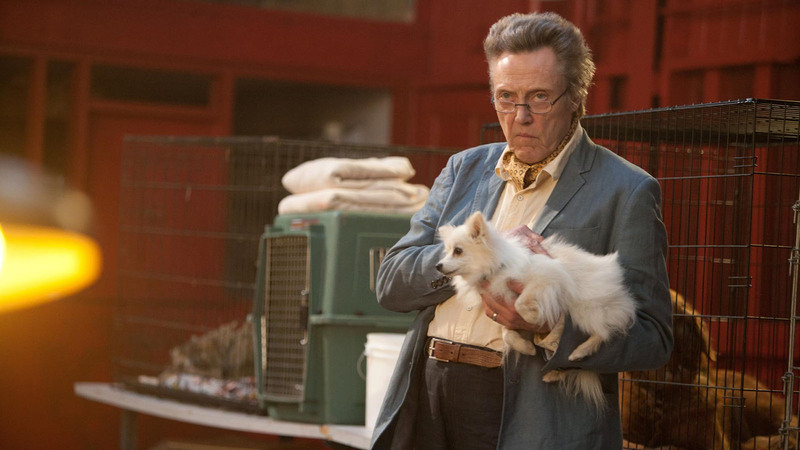 In Martin McDonagh's Seven Psychopaths, a struggling screenwriter gets drawn into the LA underworld after his friend steals a gangster's dog. As you do. There's little point explaining any more of the plot as the film is a narrative disaster zone, but fortunately it's saved by being thoroughly bloody funny. Though there's little similarity apart from the tone, we imagine fans of McDonagh's previous work In Bruges will appreciate this one. The third feature as director from Training Day scribe David Ayer, End of Watch is, to the surprise of precisely nobody, about Los Angeles police officers. But he mixes things up here by featuring the police as the heroes. The film follows partners Mike Zavala (Michael Peña) and Brian Taylor (Jake Gyllenhaal) as they carry out their duties, using the conceit of being shot from the cops' point of view with handheld and shirt pocket cameras (for Taylor's film-making night class). A couple of incidents cause them to inadvertently cross a Mexican drug cartel, and they're marked for execution. Suffering somewhat from feeling like a miniseries compressed to fit in a film and from having underwritten villains, What really makes End of Watch worthwhile is the superb chemistry between Peña and Gyllenhaal, which is amongst the very best we've seen this year, as is the film itself. Highly recommended. And that's it. Our 100th episode. Will we see another hundred? Well, looking back over the five and a bit years since we began, we've actually averaged an episode more or less every 3 weeks (no, we can't believe it either, but there it is), so it's a distinct possibility. But if you'd like to encourage us we'd love it if you could take 2 minutes to leave a review and rating on iTunes (or wherever you get your podcasts) - this is the best way to ensure new listeners find us. You're also welcome to send us your thoughts by email (podcast@theoneliner.com) or on Twitter (@theoneliner). We look forward to hearing from you. Until then, be excellent to each other.